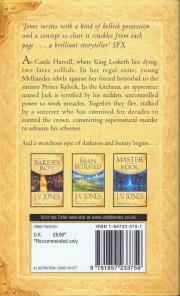 At Castle Harvell, where King Lesketh lies dying, two fates collide. In her regal suite, young Melliandra rebels against her forced betrothal to the sinister Prince Kylock. 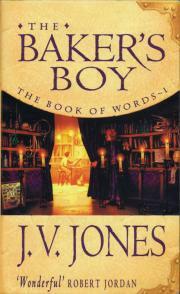 In the kitchens an apprentice named Jack is terrified by his sudden, uncontrolled power to work miracles. Together they flee, stalked by a sorcerer who has connived for decades to control the crown, committing supernatural murder to advance his schemes.